The Government and private sector require performance bonds and payment bonds for projects to protect the tax payer’s investment. Common performance and payments bonds for government projects consist of building bridges and roads, although it can comprehend much more than only those two categories. If the contractor does not complete the project specified in the contract the surety bonding company will either pay for the completion of the project or hire a contracting firm to complete the project. A performance bond will protect the owner against possible losses in a case a contractor fails to perform or is unable to deliver the project as per established and the contract provisions. Sometimes the contractor defaults or declares himself in bankruptcy, and then in those situations, the surety is responsible for compensating the owner for the losses. Such compensation is defined as the amount covered under the performance bond. Payment from the performance bond is available only to the project/property owner and no one else can make claims against it. In order for a performance bond to be effective, the contract must be specific about the work to be done and because of this, a contractor cannot be held accountable for vague descriptions that are open to interpretation. There is some information that you will need to understand in order to get the right bonding for your project. The method used by many surety companies is the percentage of completion method, normally recommended for projects larger than $350K. Some contractors will prefer the cash method, but this one will not assess your true financial status. For small contractors, the completed contract method is the one recommended as it will keep track of the revenue and expenses related to a particular project during the year in which the project is being executed. At least two years of CPA-prepared financial statements. A copy of the contract that is being awarded. If you own real estate, it will help you and will accelerate the process. All contractors must likely provide performance bonds to meet contractual requirements. When you are bidding the work, sometimes is difficult to provide a specific cost that will cover the performance bond unless you have an extensive record that can be used to justify the cost included. However, as a rule of thumb, a contractor can expect the cost of a performance bond to be about 1% of the contract value. Sometimes when the contract value is over $1 million, the premium might range between 1.5% and 2%, but ultimately it will be dependent on the credit-worthiness of the builder. 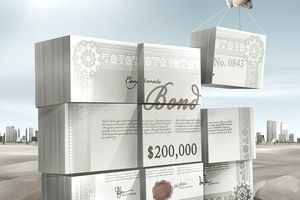 Normally, and because of the scope of the project and insurance requirements, the performance bond is combined with the payment bond under one single coverage. The owner of a project is assured of the completion of the project. The owner does not need to incur additional costs. Sometimes, the surety tries to establish that the owner did not comply with the technical conditions of a bond to avoid paying the compensation. Sometimes the surety will try to prove, that the owner may have to settle for the least expensive remedy to the problem. The owner needs to quantify the losses that might have been suffered when a trader or contractor fails in their performance. If the owner underestimates the losses and the future cost of the completion of the project, the owner may not be able to recover the shortfall from the surety.